Monitor udder health regularly by reviewing all udder health and milk quality information provided by the dairy plant, official testing organizations, veterinary clinics and on farm testing. Milking order – regardless of your housing system or herd size, start with the first calf heifers, then fresh cows next and then the main herd. Clean teats and teat ends by using approved materials, then wipe each teat dry using a single service paper or cloth towel – one per cow. Mastitis control and producing high quality milk requires that cows have clean, dry teats when units are attached. Foremilk cows before attaching units by removing 2 to 3 squirts of foremilk and examining it. Avoid over-milking which is considered a primary cause of teat end hyperkeratosis. When the udder has been emptied satisfactorily, remove the milking cluster. Sanitize teats after each milking. 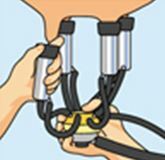 As soon as the milking unit has been removed, sanitize each teat with Manchem’s teat spray or dip. This is the single most effective procedure to prevent the cow to cow spread of contagious mastitis organisms. Clean milking equipment immediately after milking. 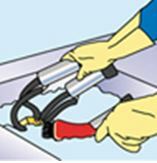 Either manually or automatically rinse and clean all system components using appropriate products at the correct temperature. Allow the system to drain dry. Cool the milk properly by checking the correct temperatures are being reached during and after each milking. Proper refrigeration temperatures greatly slow or stop the growth of most bacteria. Monitor milk quality milking equipment, and milking performance data regularly. Review milk quality, milk composition, and milking center performance information regularly and compare it to historical data.